Anyone who emerged from the disturbing fashion of the 80s has that sense of nostalgia usually reserved for war veterans. Technology was emerging from its shell and changing the way we lived while luddites cried softly into their pillows. 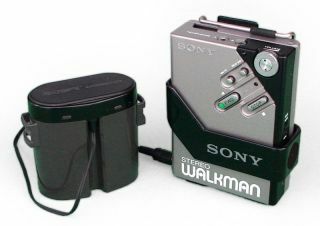 It was a time when indispensable creations like the personal computer, the Walkman and the console hit critical mass and became the definition of popular. Here are eight technologies that defined the eighties. While there were several variations on the idea of the personal computer pre-1980s, including the Apple II, it was IBM that coined the term when it released the IBM 5150 on 12 August 1981. This is not to undermine the gargantuan effect that computers like the Commodore PET and the Apple II had upon the history of personal computing, but it was IBM's long-established reputation that worked in its favour. Slapping the title of Personal Computer onto the 5150, IBM took the PC out of niche and into mainstream. The IBM 5150 had a 16-bit 8088 processor running at 4.77MHz, 16KB memory that was expandable to 256k, floppy disk drives, two RS-232 serial interfaces, and an optional colour monitor. The ROM had BASIC built-in and ran DOS 1.0, the operating system that brought us Microsoft. By the time the 80s had drawn to a close we'd seen the Macintosh, hard disks, Windows and, the next in our list, CDs. The humble CD was a strongly contested invention, with both Philips and Sony working feverishly to be the first to produce them prior to the 80s. The race for dominance was temporarily set aside when they came together to develop the Compact Disc Digital Audio (CD-DA) standard known as the Red Book format in 1979. Commercial CDs were launched in 1982 and initially met with industry-wide scepticism - only 1,000 titles were available by the end of 1983. When the cost of CD players dropped appreciably they hit the big time. The first album was Billy Joel's 52nd Street and the first song, released on the first CD, was The Visitors by ABBA. Interestingly, it was Dire Straits' Brothers In Arms CD that was the first to sell over one million copies making it the world's most successful CD album. Launched in 1979 in Japan, the Walkman was an unprecedented success and by 1986 the name had entered the Oxford English Dictionary. People used it to listen to music while on the move and teenagers everywhere rejoiced at its ability to drown out the sound of their parent's voices. While comparing the clunky and heavy TPS-L2 with the iPod you may well walk away chuckling to yourself, but to the children of the 80s it was the epitome of cool. According to Sony's history site, ten years after the launch of the first model over 50 million units had been manufactured. Imagine not being able to pause, rewind or record TV, or to choose what you wanted to watch? Ah yes, in those giddy days TV was in charge and you only got to see whatever it decided to offer you. Until the VCR, that is. While the VCR was available and usable in the 1970s it was only in the 1980s, when cheap microprocessors and low-cost manufacturing impacted their cost, that VCRs became cheap enough for consumers to easily afford. Now you could record TV and, wait for it, fast forward through the adverts. Bliss.